About Bennett's Curse - Maryland and DC's Best Haunted Houses! We are a small family owned and operated business born and raised in Baltimore, Maryland and proud to always be the first to introduce you to the most innovative halloween attractions for the past 18 years. Bennett’s Curse Haunted Attraction in Baltimore county, Maryland, with it’s close proximity to Washington DC and southern Pennsylvania continues to dominate the Mid-Atlantic region from Philadelphia to Richmond and is renowned and highly respected in the haunted world. With our easily accessible location at our newest facility, the Legendary Bennett’s Curse is back with our SCARIEST show ever unleashed in our 18 years of operation! This is the show all Haunted House fans will be talking about as we’ve taken the best of what you’ve come to fear and created the ALL-NEW show Bennett’s Curse Monster Fest! We’ve taken our best scenes, and MONSTERS from all of our shows which include LEGENDS OF HALLOWEEN, UNDERWORLD, RAVENBROOK ASYLUM, INFERNO 3D, and even COULROPHOBIA and merged them into a total shock to your senses. With a stronger focus on FEAR and SCARES! You WILL NOT find a better or scarier Haunted House anywhere else! If you go to just one Haunted House this year, go to the scariest, go to the best, go to Bennett’s Curse Monster Fest! 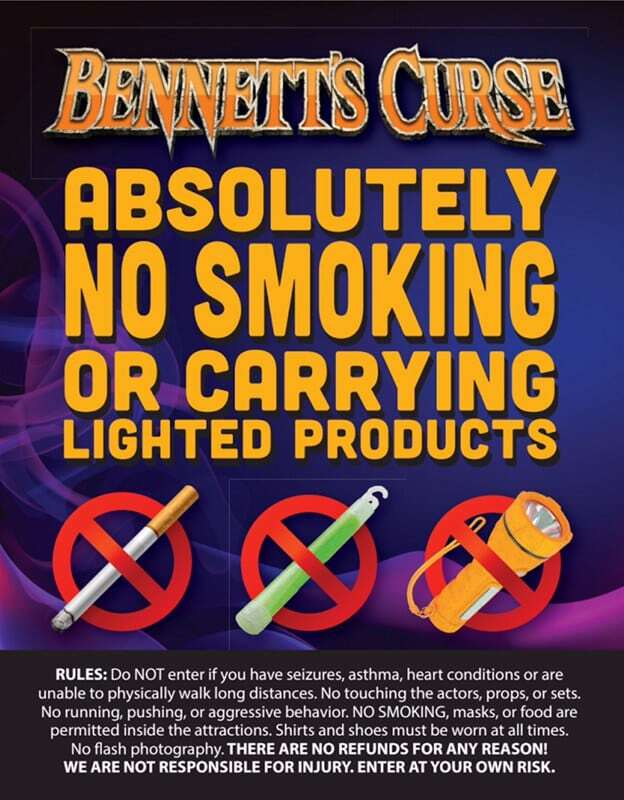 Bennett’s Curse has continued to be the first to introduce to its guest the latest and most cutting edge technology for their enjoyment, and their goal of revolutionizing the Haunted House industry in Maryland has made them a Halloween tradition in the region. 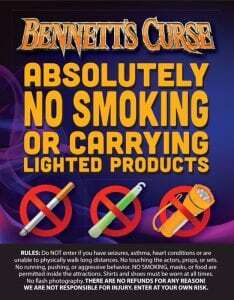 With thousands of loyal fans demanding the best, Bennett’s Curse delivers year after year! Bennett’s Curse has been featured on the Travel Channel show “America’s Scariest Halloween Attractions”, and the hit show “Making Monsters” as well as the NFL Network. Consistently ranked by many sources as one of the best Halloween Attractions in the US, Bennett’s Curse has been selected for year after year as one of “America’s Best Haunts, one of the “25 Must see Haunted Attractions” from Haunted Attraction Magazine, and one of the top 13 haunts by Hauntworld magazine, the #1 authority on Haunted Attraction rankings, also an official selection as one of America Haunts, which includes the scariest and most prominent Haunted Houses and Attractions in America, and many more. Bennett’s Curse is a short ride from Washington DC, Delaware, Virginia, and Pennsylvania. Come, experience Bennett’s Curse for yourself, and see why it’s the best and the scariest Haunted House in the region! Why Should you Visit Bennett’s Curse Haunted House ? What makes Bennett’s Curse stand amongst the top Halloween attractions in America is our dedication to creating a totally immersive and interactive environments for our guests. We are a small family owned and operated business born and raised in Baltimore, Maryland and proud to always be the first to introduce you to the most innovative halloween attractions for the past 18 years. No other haunted attraction in America can match Bennett’s Curse’ strong reputation for creative theming, and painstaking execution with great scares. While other attractions are content to follow current trends, Bennett’s Curse is a trendsetter that raises the bar and sets the pace for offering premium terror for a new and demanding generation of thrill seekers! If you have visited Bennett’s Curse in the past, be prepared to throw away all preconceived notions of what you can expect to experience. If this year will be your first time visiting or you’ve looked elsewhere for the highest quality Halloween entertainment and haven’t experienced the fright of your life, then this is the year to visit! For 2018, Bennett’s Curse Haunted House will deliver Monster Fest which you will not experience anywhere else! As our Bennett’s Curse family grows we will continue to introduce to you the best Halloween experience the country has to offer and make our halloween traditions yours! We thank you all for your continued support! Help us to keep Halloween thriving in Maryland! 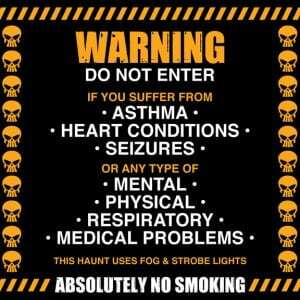 prior to your visit to Bennett’s Curse Haunted House! 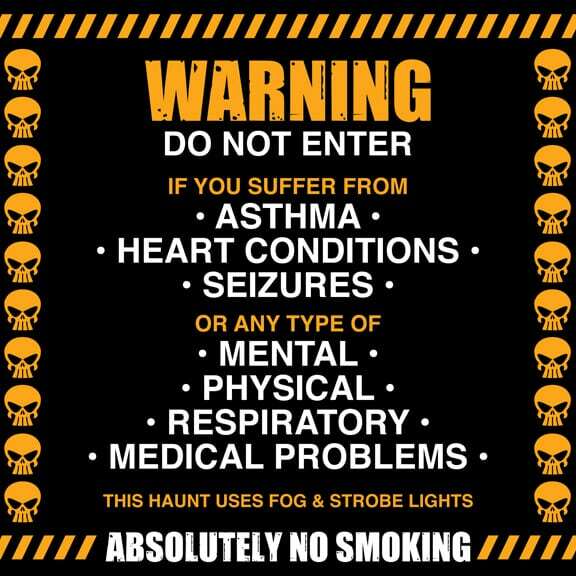 Please read the warning before attending our haunted attractions. For your own safety, you must understand the type of environment our attractions offer before entering at your own risk! We do not know the health conditions of any of our guests, so we require all guests to read and understand all warnings before you enter. Please read the following warnings very carefully before considering attending our events. Our haunted houses in Baltimore, Maryland do require all guests to follow all rules, regulations and understand you enter at your own risk. Please read all rules listed below. Our warnings are printed on your tickets, warning signs at the attractions, and warnings here on our website. 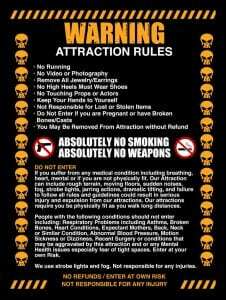 You assume all risk to entering our attractions. Please DO NOT attend our events if you have ANY type of health concerns or issues. DO NOT attend our attractions if you are not physically fit, have pre-existing medical conditions, have poor vision, and especially any type of heart or respiratory condition. Thank you for taking the time to review this document below.